Are you looking to reduce capital expenditure & increase availability? 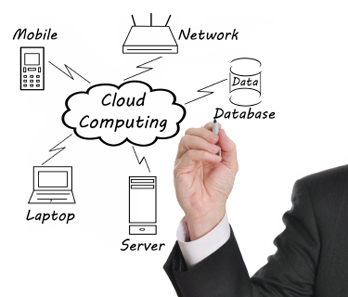 Talk to Computacure about “Cloud Computing”. Cloud Computing is currently a hot topic in the IT world, but what is it and how can it help you? Still in relative infancy, Cloud services are beginning to offer a complete IT solution to small and medium businesses who wish to lose the capital expense of upgrading or replacing servers in the work place – whilst at the same time increasing the availability of their data to staff not only working from the office, but also remotely at home or on the road. Essentially, Cloud Computing works much like any other utility, e.g., electricity, gas, or even the telephone or television. All of these services are available to the users without the knowledge or know-how of how they got there. All the user is interested in is that it works. Your data is still held on a server with a similar setup to one that you would have in your office. The difference of course is that it is online instead and you dont have a physical server in your office to worry about. Exactly the same way as you currently access the Internet from a web browser. Your PC or phone will point to an internet address which will be the address of the server that holds your data. The reliability of the Cloud is considerably greater than having a single server at your office location. The majority of Cloud providers have “multiple redundant sites” which securely duplicates your data in case of disaster. Yes, the security of the cloud is often better than that used on traditional systems. Most Cloud providers will give you secure access through SSL connections with high level data encryption. How do you start to utilise the Cloud and what services can you begin with? You may already have a website – this will usually hosted in the Cloud. Hosted MS Exchange email services gives you all of the functionality and usage of your own Exchange server, only that it’s in the Cloud. We offer a free copy of outlook with all of our hosted exchange accounts. We can backup the data on your server/PCs directly to a secure Cloud server overnight. This data is then encrypted and securely replicated to another server for complete protection against disaster. We can host your data directly with your own dedicated server in the cloud. Encrypted and secure you and your employees have 24/7/365 access to your files. Once added to secure online backup, it makes for a secure and disaster free environment.